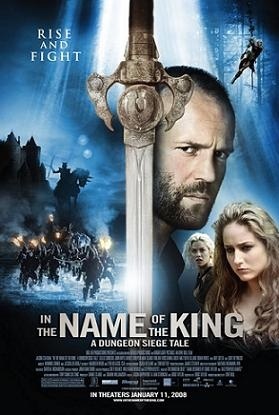 In the Name of the King: A Dungeon Siege Tale was universally panned and bombed at the box office, but Gas Powered Games' Chris Taylor does not regret that it was made. Released in 2007 and directed by Uwe Boll, the Dungeon Siege film boasted a huge production budget and some big star power. The plot of the film was loosely based on the Dungeon Siege games written and designed by Chris Taylor. Hollywood stars such as Burt Reynolds and Ray Liotta appeared in the film, as well as lesser known but respected genre actors like Ron Perlman and Jason Statham as the main character Farmer. The film was reported to have cost over $60 million to make and yet only grossed $10.3 million worldwide as of February 2008. Dungeon Siege: The Movie! was also roundly panned by critics, earning a spot on most Worst Film of the Decade lists and garnering a mere 4% approval rating on Rotten Tomatoes for its "wooden performances" and "laughable dialogue." Despite all of the negativity, Chris Taylor takes a much healthier view of the whole process. "I think the world has spoken on the movie, I was just thrilled to go up to the set and meet Jason Statham and Ray Liotta," Taylor told me last week at GDC 2010. "If could I have changed it and said that I don't want to do that, and I didn't get a chance to see inside the sausage-factory of filmmaking and didn't get to meet all of the interesting people, that would be a real shame. "I think the only thing you can do as a creative person is to aspire to do better next time. If your first oil-painting has got to be the Mona Lisa, then what fun would that be?" he said. "You got to start someplace and grow. Maybe that's our first swing at it." Does that mean he was hinting at a Supreme Commander 2 movie in the works? "And that it would be better than Dungeon Siege?" he said with a laugh. "No, I'm not hinting at that." Taylor did add that he got a kick out of Hollywood actors saying lines that he thought of when he was just a kid. "I had a game when I was sixteen that I was designing for my TRS-80 called The World of Ehb," he said. When he was 29 and he started work on Dungeon Siege, he decided to use the setting that he had written for that game. "Then I had Burt Reynolds saying 'Citizens of Ehb' or something like that, I was like 'Burt Reynolds is saying something that I thought in high school. That ain't right!' That was the thrilling part."